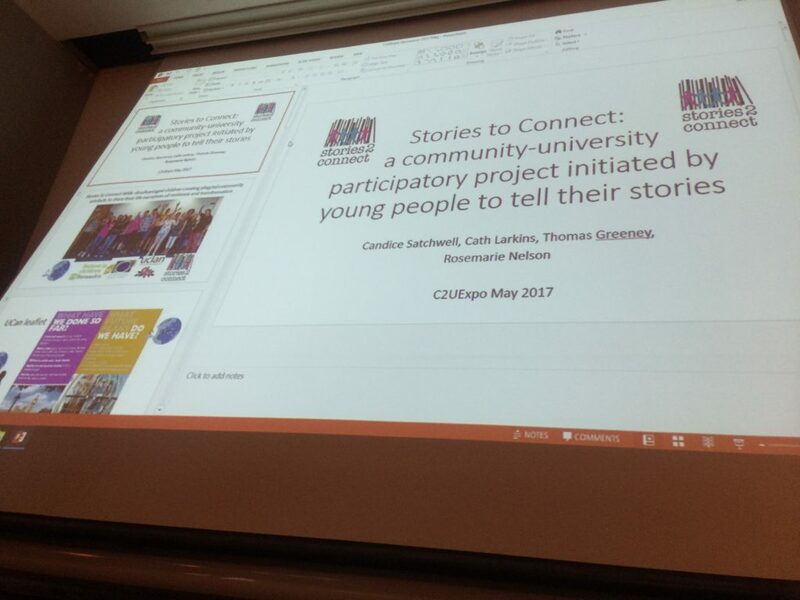 As part of our aspirations to share stories in a variety of media, Rosie presented her fantastic animation at the C2U Conference earlier this month. Here she shares some of her memories of the event and reflects on audience responses to her animation about ‘Terry’: a young person with autism trying to negotiate the challenges of everyday school life. So! 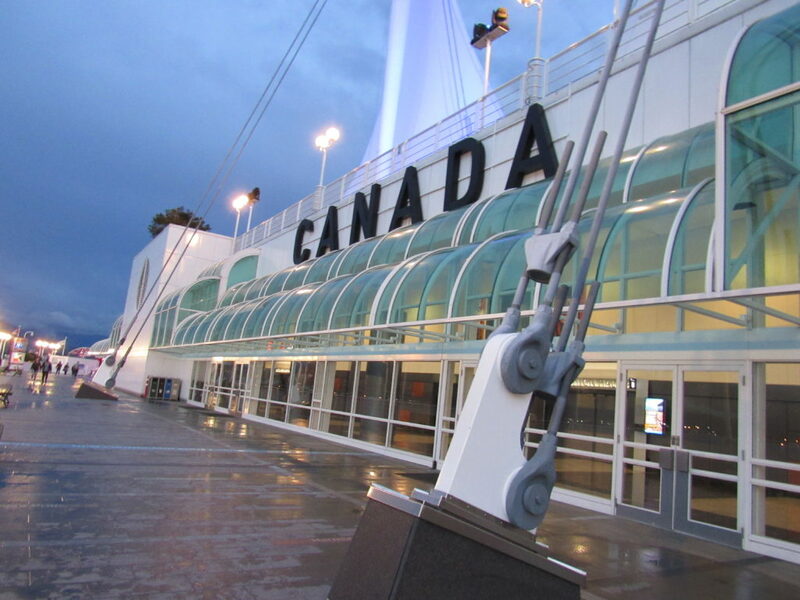 We went to Vancouver, Canada and it was AMAZING!!! I loved being there and I had so much fun and had so many rewarding experiences, so I thought I’d make a post about it all!! 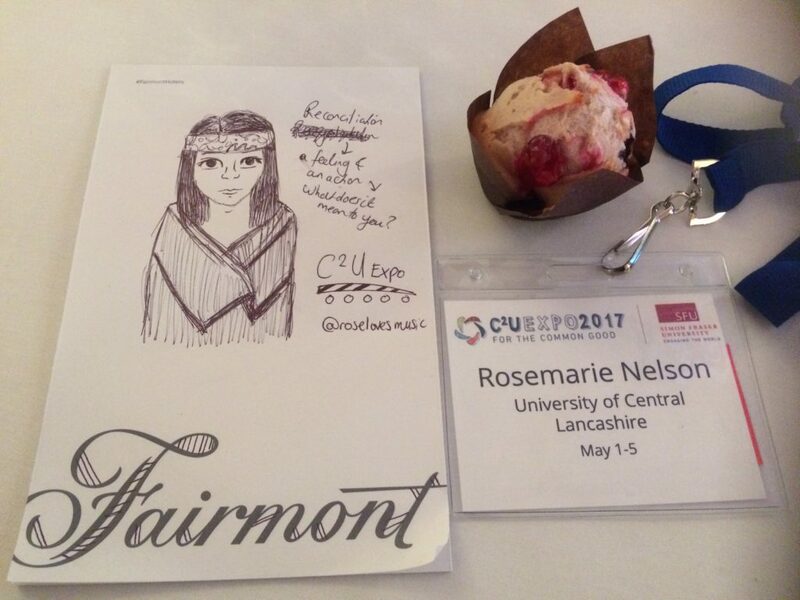 Wednesday was the first Day of the C2Uexpo 2017 conference. This day was the day we presented our work! We went for breakfast at the Fairmont Hotel, which is so fancy and it was free, so I had 3 fruit muffins and then Lunch was free too (as was Tea)!! It was so nice to get so much free food! I went to some interesting talks this day as there was a presentation in the morning about the indigenous people of Canada and talks about community and collaboration, which is what the whole conference is based around. I also chatted to some new people and networked with them which was good! We presented our work at 3pm-ish to a room of over 50 people (I did a quick head count) and I had my “speech” written out but then I got nervous and wasn’t able to get through most of what I wrote down -whoops! I’m happy with what I wrote as it explained everything well. It was nerve racking but at least I tried my best!! Cath, Candice and Thomas did an amazing job at their sections, I’m so proud of us! I enjoyed seeing people’s reactions to Stories2Connect and my animation work. 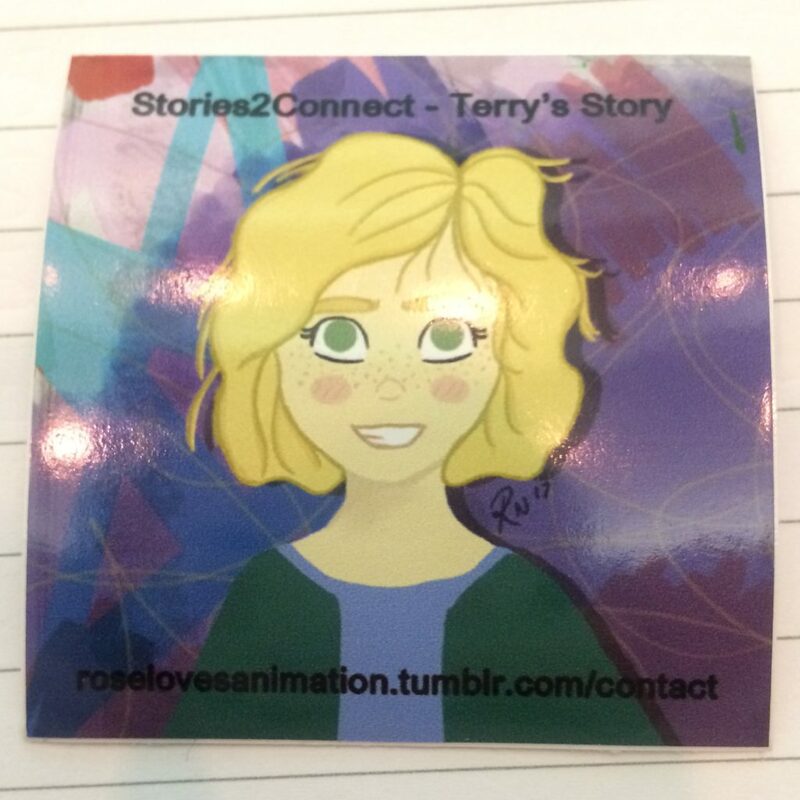 I promoted us at the end and asked if anyone wanted any stickers which have Terry (the main character of my animation) on them. I gave out so many over the next few days, over 40 for sure! I think it’s an interesting/cute souvenir that is less serious than a business card (which I gave out to a few people) and people really enjoyed receiving them. I even had a few people come up to me and ask for stickers which was cool! After that we relaxed for a bit and walked around the city and there was a “party” in the evening for the conference so we went to that, got free mac and cheese and lots of nibbles haha. There was a comedian performing first, then an orchestra and then a drumming band and a sing song! It was so cultured and I enjoyed this day a lot as we got so much done and had a fun experience and I made some friends too! Everyone is so nice in Canada! Thursday was the Second Day of the conference, free breakfast again! I had so many strawberries it was so good! We then went to some more events but got lost on the way to one in the afternoon – whoops! We walked around a lot around the city, which was such a fun experience and I got some amazing photos out of our adventure. The architecture in Canada is so pretty, as is the nature, which work together in harmony. This was a nice opportunity to discover more of the city over 2 and half hours and it was a lovely sunny day too! We then went to another “party” in the evening as part of the conference, which had more free food! Everyone joined in singing which was quite sweet as everyone was into it and smiley and it was just a nice sense of understanding and community. Friday was the last Day of the conference, which meant the Last Free Breakfast! 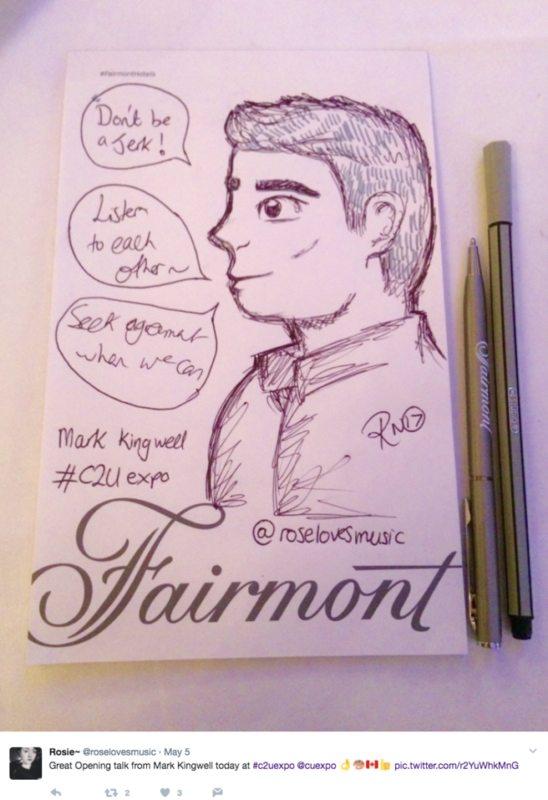 🙁 The conference in the morning was interesting and I made notes about it and did a drawing which was actually shown on the social media screen to a room of hundreds of people – that was wild! 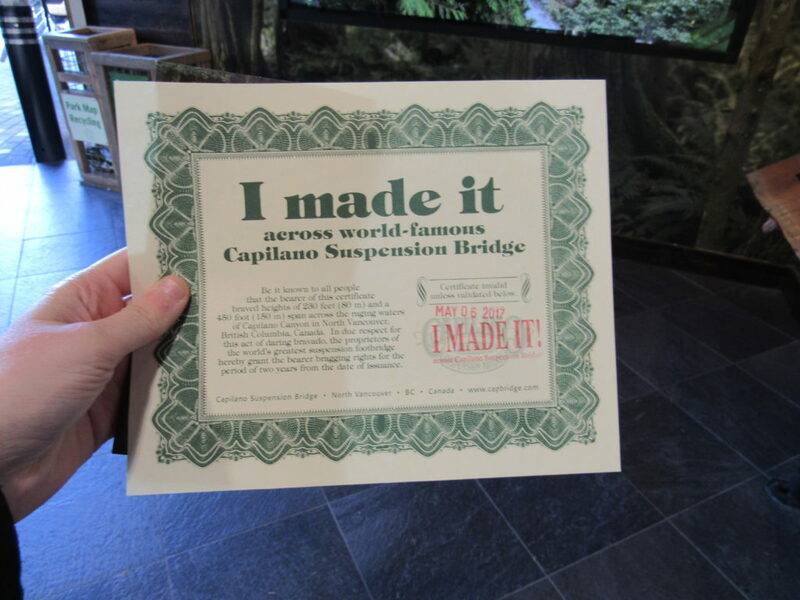 After this I got a SkyTrain, as I went to visit Atomic Cartoons! I was able to visit this animation studios because Nigel used to study the MA at UCLAN and has kept in contact with Sarah so this was an amazing opportunity for me and I had such a fun time visiting! 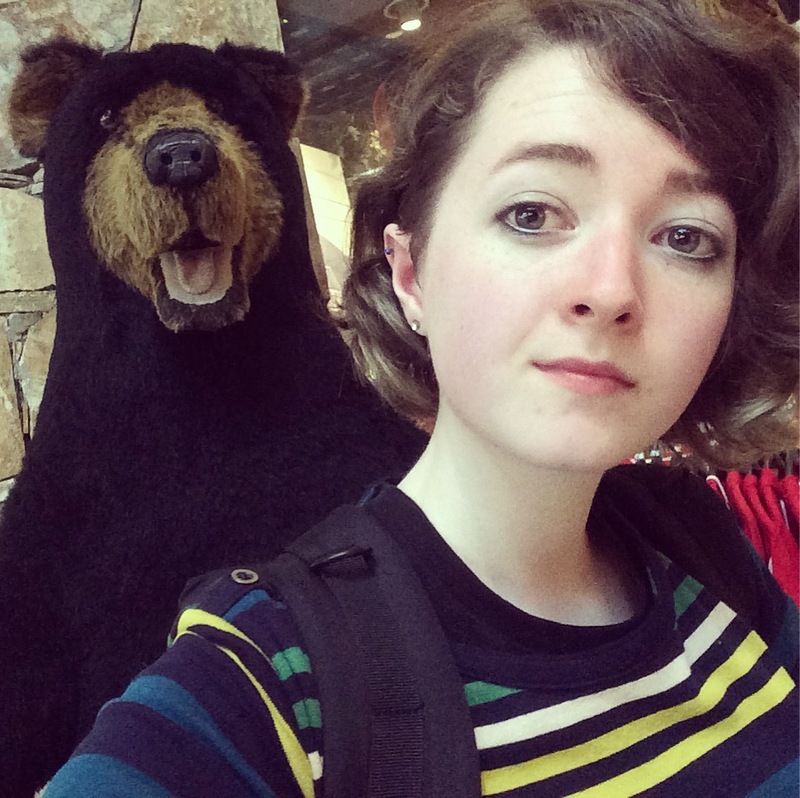 I got to see secret stuff and learnt more about a 2D/3D animation company, and again, everyone was so nice there! After spending a few hours round that part of town I went back on the SkyTrain to the city and went shopping and then met up with the gang again who had a fun time at the conference! In the evening, we went out for Japanese food with the new friends we made at the conference! The food was amazing – omg, Steak and Rice!!! Thank you to Cath for the recommendation, as I am so fussy! And after this we went to a theatre/show called “Legend of the Fireflies” which we were told about from a lady at the conference who is involved in it. It was such a nice experience and the story was interesting as were the young actors so I’m glad we had that experience. Saturday was our first proper Day Out! 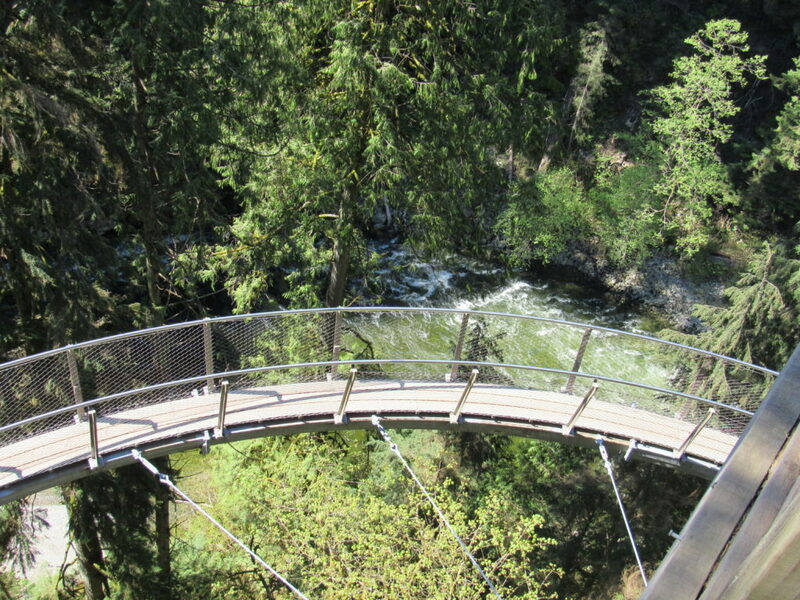 We went for a nice breakfast and then to Capilano Suspension Bridge!! In the evening we went to Granville Market, quite a lot of stuff was already closed but it was a nice place to take photos and I tried sushi for the first time in ages -it was nice but not for me lol, so Cath and Thomas happily finished that for me. We then went on a long walk to The Naam, which is a 24 hour open vegetarian restaurant and we walked 40 mins to get there and the food was so nice!! So it was well worth the walk and it was so nice to spend dinner together! Sunday was the Last Day!!! I went and got souvenirs for my family, boyfriend and friends in the morning and we had a classic Canadian Tim Horton’s for breakfast. Then we went on a bus ride to Stanley Park (which is named after a guy from Preston!!) 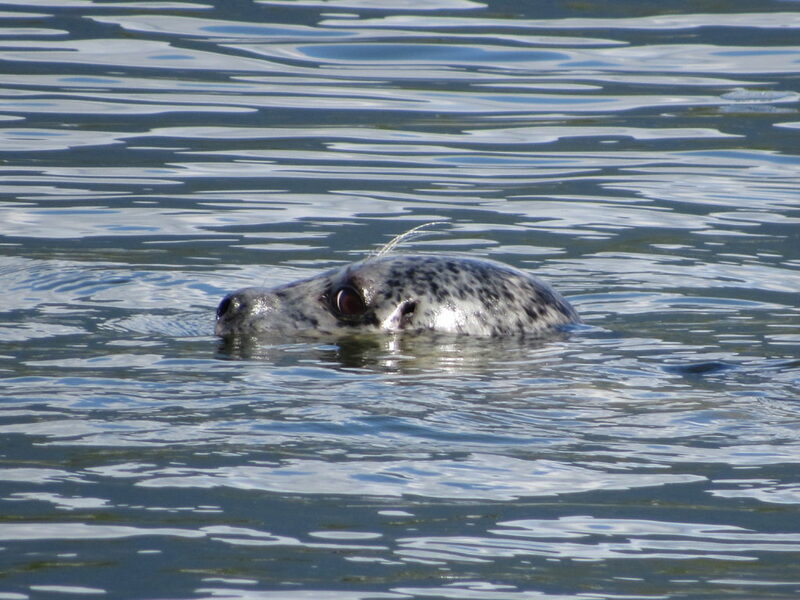 We all had so much fun there, it was nice to see lots of nature and animals, especially the seals as they are one of my favourite animals and I got such amazing photos on my camera because of the zoom!! After this we went back to the hotel and to the airport and then got back home Monday afternoon. This was such an incredible experience for me overall and I appreciate Stories2Connect for taking me along with them, I had so much fun and it was such a great opportunity to get our work out there and tell people about how important it is and we made many contacts which I’m sure will help us in the future. Thank you for this adventure, I had such a great time with Candice, Cath and Thomas and I’ll never forget it!